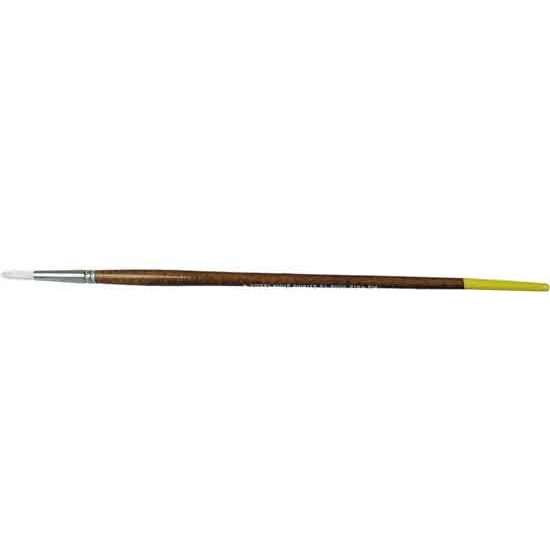 Round white fill brushes with long lacquered wood handles and seamless nickel-plated ferrules. All brushes in this category are Anti-Static. 0.177" 0.217" 0.310" 0.394" 0.433" 0.551"
3/4" 7/8" 1" 1-1/4" 1-1/2" 1-3/4"
11-1/2" 12-1/4" 12-3/8" 12-1/2" 13-1/2"